Disney’s Polynesian Village Resort is the first place I stayed on-site at Disney World over 25 years ago on a trip with my aunt, cousin, and grandma. I remember walking into a tropical paradise and how special that vacation felt. As I prepared for our first family stay in a Disney Polynesian Resort Studio Villa I wondered if I would still feel that special magic. Thankfully the answer was “Yes!” Years later, the Polynesian Village Resort (and specifically the Disney Polynesian Deluxe Studio Villa) still made me feel like I was on an extra special Disney World vacation. Disney’s Polynesian Village Resort and Disney’s Polynesian Villas and Bungalows are located on the same property. The Polynesian is considered a Magic Kingdom resort. 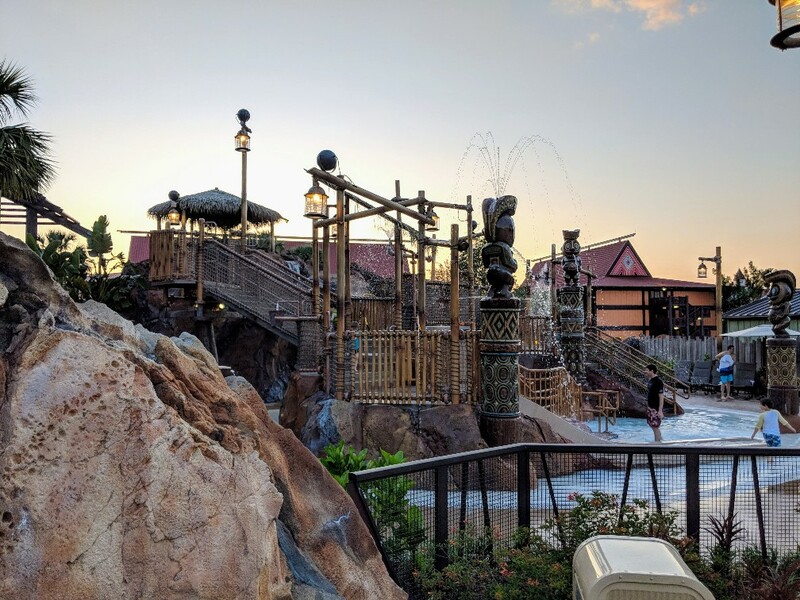 The resort is inspired by the South Pacific and is one of three original Disney World hotels that opened when the Magic Kingdom did October 1, 1971. 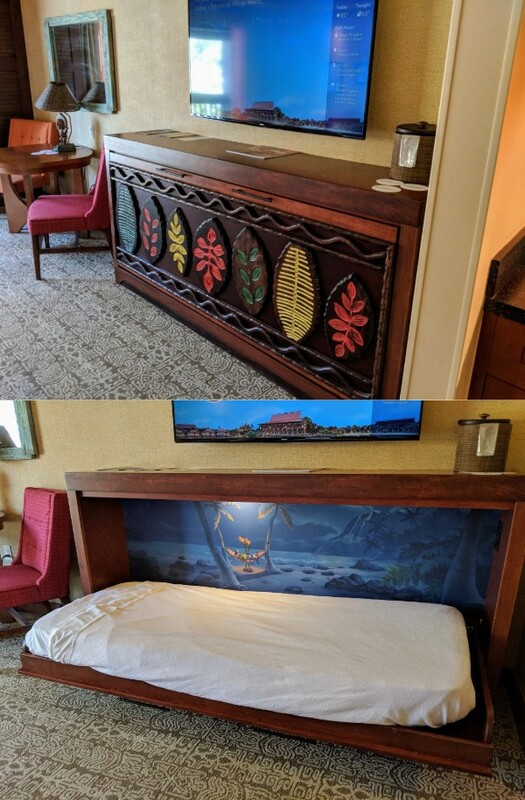 The South Pacific inspiration is felt throughout and is thoughtfully integrated all around Disney’s Polynesian Village Resort. 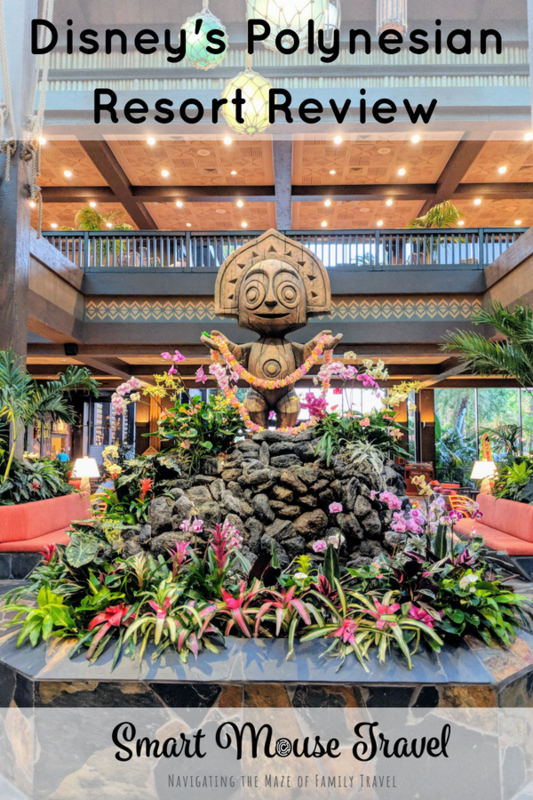 Some of our favorite touches were receiving a lei at check-in, the beautiful lobby in the Great Ceremonial House with flowers and tropical influence everywhere, and the winding paths to the low longhouses lit with torches at night. Are you more of a video person? 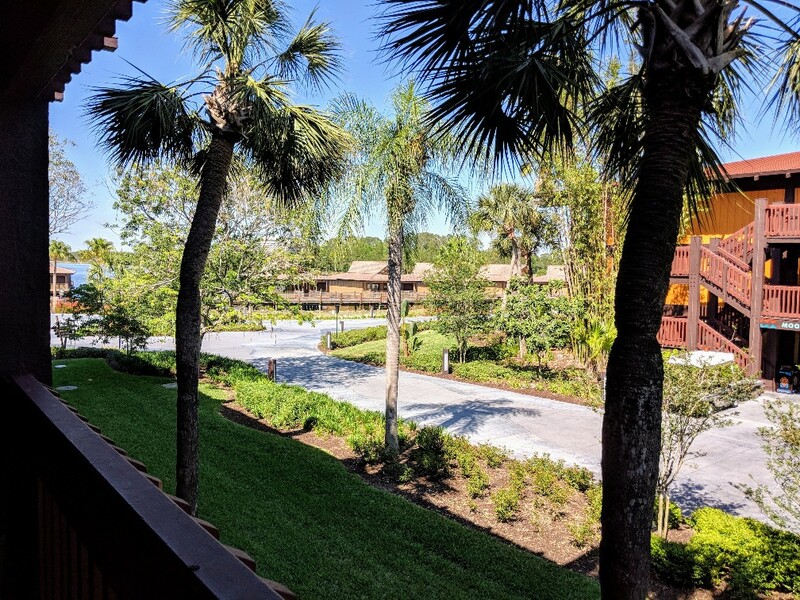 Then this walkthrough of Disney’s Polynesian Village Resort and our deluxe studio villa is just for you. Polynesian Village Resort has two pools and a splash play area. Lava Pool is the main pool with a waterslide located just behind the Great Ceremonial House. 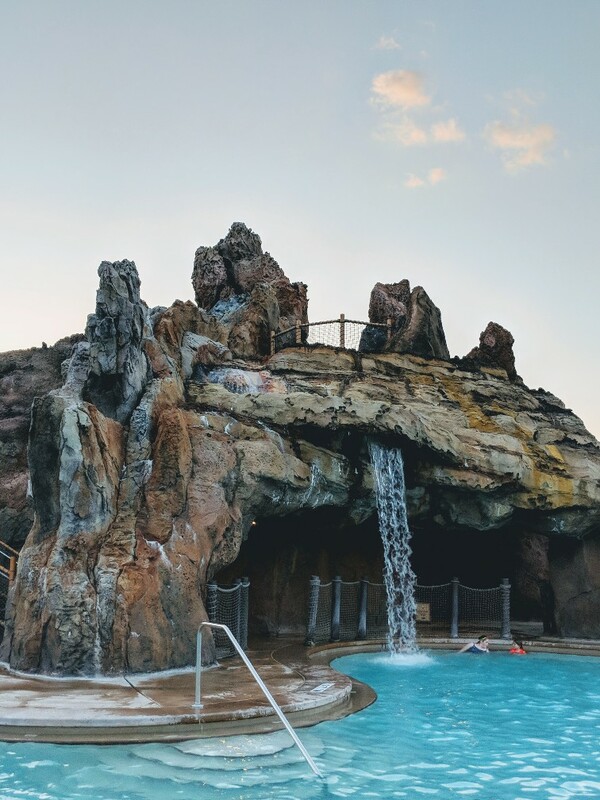 Right next to Lava Pool is the Kiki Tikis Splash Play area. This huge structure has tons of fun water play options for kids. 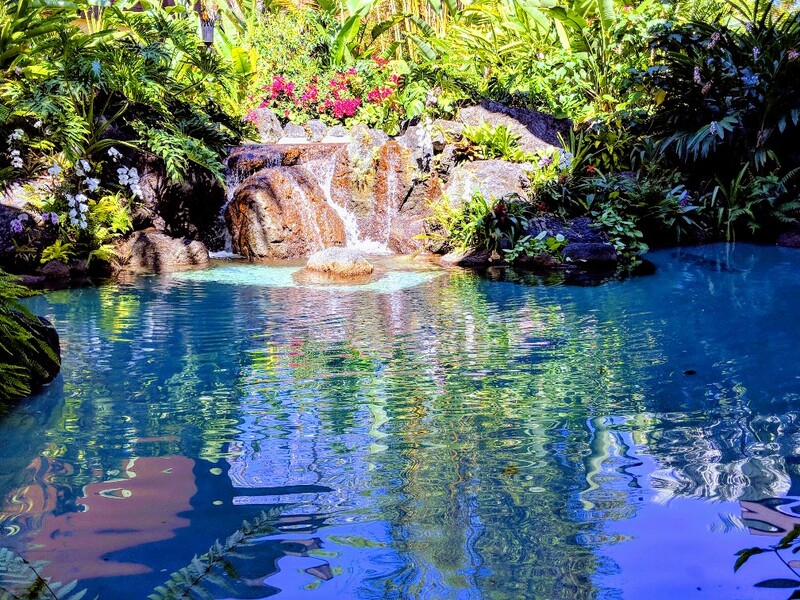 Our favorite pool was the Oasis Pool located just across from our Polynesian Deluxe Studio Villa room in the Tokelau building. This pool is considered a leisure pool, has a more relaxed vibe, and the Oasis Bar and Grill. The Oasis Pool has a gradually sloped walkway into the water that Elizabeth thought was really cool. Find out more about each of the pools from Gal Disney who devotes an entire article to them. There is a diverse set of dining options at Disney’s Polynesian Village Resort. Choose from quick service, table service, bars, or a luau show. Here is a quick summary of the available dining options. Check here for more information on menus and hours. Capt. Cook’s – A quick service option serving breakfast, lunch, and dinner daily. You can also buy grab-and-go items like pastries, snacks, or drinks here. Oasis Bar and Grill – Not your typical pool food, Oasis Bar and Grill has Polynesian inspired meals and drinks right by the Oasis pool. Kona Island – Kona Island offers a quick breakfast option in the morning and then made to order sushi and sashimi in the afternoon. Kona Cafe – Kona Cafe is home of the famous Tonga Toast. Tonga Toast is a specialty french toast option that is super thick bread with sliced bananas inside rolled in cinnamon sugar before being cooked. It is served with a choice of breakfast meat, strawberry compote (yum) and syrup. 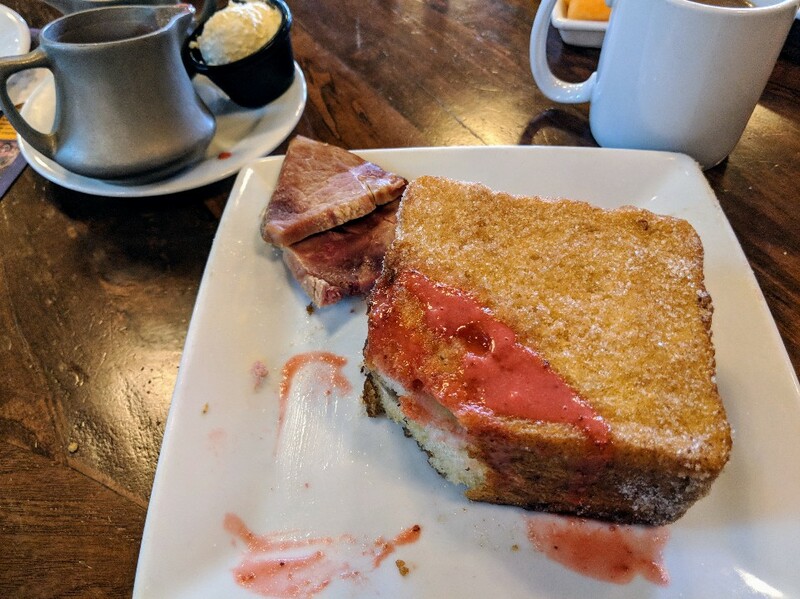 My first Tonga Toast was good, but extremely filling. Next time I would talk someone into ordering a different breakfast option and then split the Tonga Toast. Please note: You can also get Tonga Toast at Capt. Cook’s, although it is not served with the same strawberry compote. ‘Ohana – ‘Ohana serves a character meal breakfast where you can meet Lilo and Stitch (find out more about character meals in my complete guide) and a non-character dinner with delicious Polynesian-themed family style platters. Disney’s Spirit of Aloha Dinner Show – Feast on an all-you-care-to-enjoy meal while watching a dinner show of hula dancers, fire dancing, and drummers. Tambu Lounge – This lounge offers drinks and exotic food options for breakfast, lunch, and late night dining. Pineapple Lanai – Dole whips! Need I say more? Trader Sam’s Grog Grotto – This lounge serves alcoholic and non-alcoholic specialty drinks with several delicious appetizer options. Trader Sam’s Tiki Terrace – This outdoor lounge with live music (check times) is open from late afternoon until late-night and serves the same items as Trader Sam’s Grog Grotto. We stayed in a Disney’s Polynesian Villas and Bungalows Deluxe Studio Villa. While walking to our deluxe studio villa we fell in love with the resort, and as soon as we opened the door the same happened with our room. 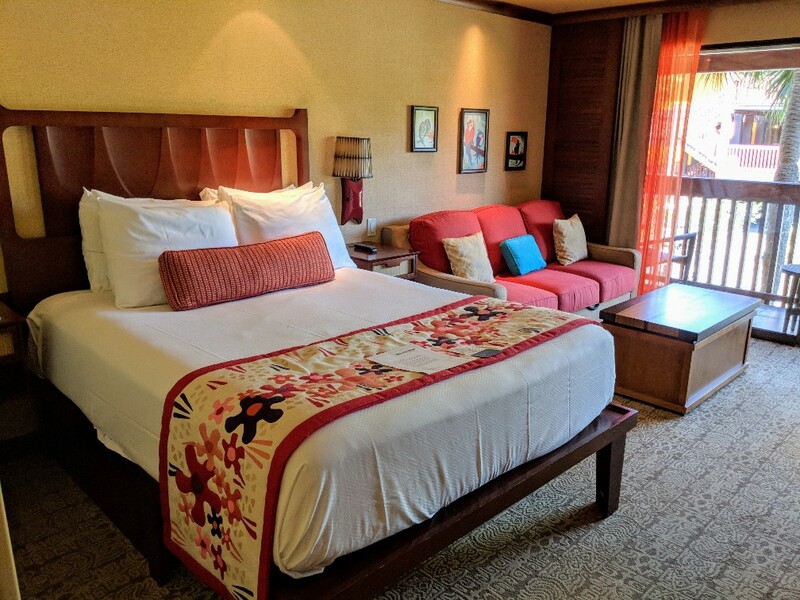 The Polynesian Resort Deluxe Studio Villa is my favorite studio (although our special request one at Copper Creek is a close second). You enter the room and to your side is a spacious full bathroom. A second partial bathroom is little further down the hall. This second bathroom has a sink, vanity, and a beautifully tiled shower. Next is the bedroom area. The first thing I noticed was the Polynesian decor around the room like the Tiki Tiki Room inspired bird paintings and the Tiki god lamp. The bedroom holds a queen-size bed, a queen-size sleeper sofa, and the cutest twin murphy bed I’ve ever seen. The studio is built to accommodate up to 5 adults, but I think an adult might not love the twin murphy bed. I do think the twin size bed is perfect for kids, even toddlers. The twin bed is low to the ground, so you don’t have to worry if your little one rolls out. The bedroom area also has a round table with two plush chairs and a storage ottoman in front of the sleeper sofa. I was concerned that since the dresser was really a twin murphy bed there would not be enough storage in the room. However, I found that the closet and two drawers located under the side of the traditional bed provided plenty of storage space. The last part of this incredible Polynesian Deluxe Studio Villa was the outdoor seating area. The sliding glass door opens to a porch with two lounge chairs and a side table. There was even room for my mom, dad, Elizabeth, and I to hang out there and enjoy some afternoon rest. I loved the view of the palm trees, winding pathways, and longhouses from our room. In room wifi is provided at Disney’s Polynesian Village Resort at no additional charge. Please know that the free wifi is fine for checking email or social media accounts, but won’t work for streaming video from services like Netflix. Disney’s Polynesian Village Resort charges guests $24 per night for overnight parking. There are so many transportation options when staying at Disney’s Polynesian Village resort! Take a small boat directly from the Polynesian boat dock to Magic Kingdom. Grab the monorail from the second floor of the Great Ceremonial House. 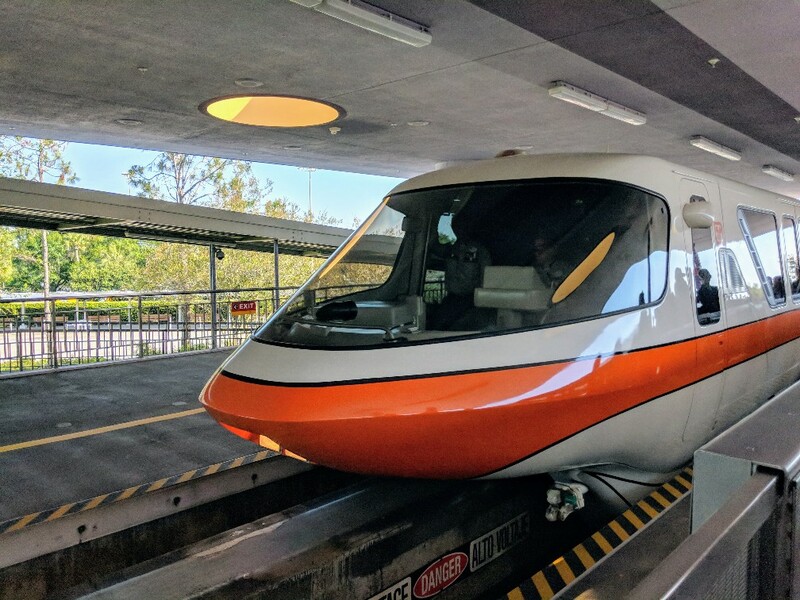 This monorail line connects Disney’s Polynesian Resort to Magic Kingdom, Grand Floridian, Contemporary, and the Transportation and Ticket Center. Walk to the Transportation and Ticket Center. Take the large ferry across the lake to Magic Kingdom. Take the walkway to the Transportation and Ticket Center and then take the express monorail to Magic Kingdom. Grab the monorail from the Great Ceremonial House and take the loop to the TTC. Transfer to the Epcot express monorail line. To reach Hollywood Studios, Typhoon Lagoon, Blizzard Beach, or Animal Kingdom you will take the Disney World bus transportation system. The bus stop is located near the Rarotonga longhouse. Disney’s Polynesian Village Resort is just as tranquil, beautiful, and special as I remembered it from my trip all those years ago. My daughter absolutely loved everything about this resort and keeps telling anyone who will listen about our experience there. 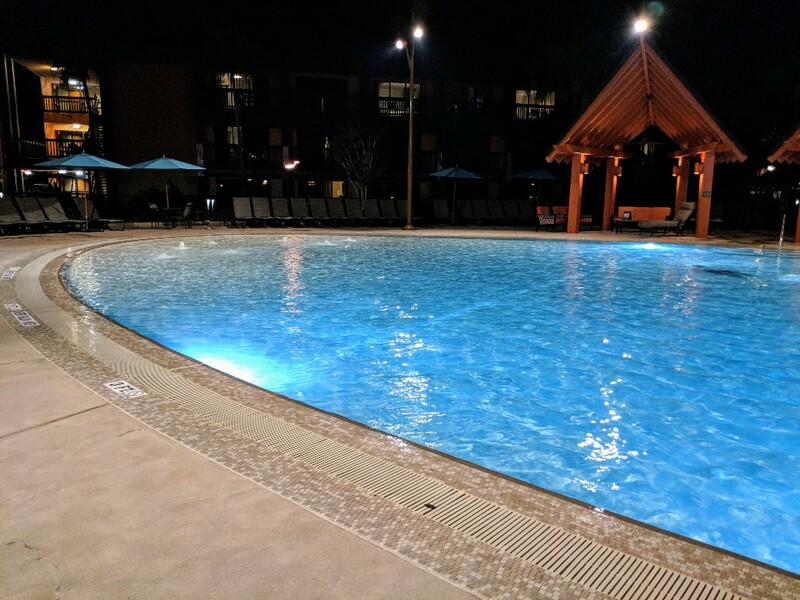 The Polynesian Deluxe Studio Villa surpassed all of my (high) expectations and is now my favorite deluxe studio villa at Disney World (with Copper Creek as a close second). There is a reason the Polynesian is our DVC home resort! So glad you and your family enjoyed it as much as we do. We have previously stayed Value and Moderate but decided to go deluxe this trip. We had the contemporary booked but saw we could book the deluxe villa for almost what we were paying at the contemporary so we switched. We have three kids 9, 5 and 2 and I am hoping they love it as much as I think they will. I hope you have a wonderful stay at the Polynesian! 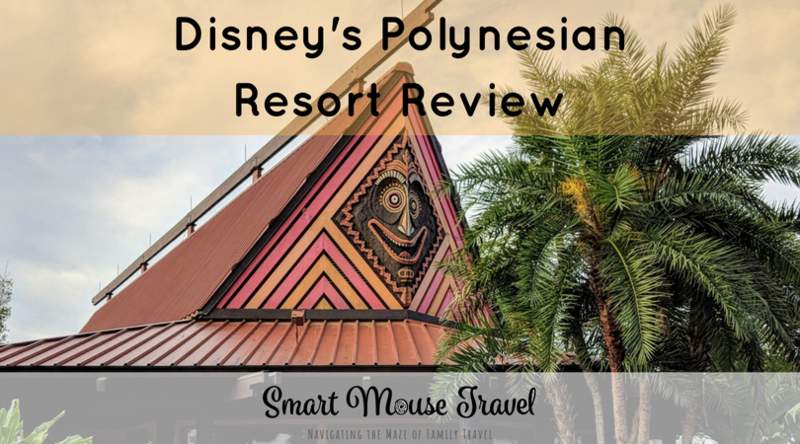 I haven’t stayed in the standard room in awhile at Polynesian, but I can suggest some things to consider to make your choice between the two rooms. 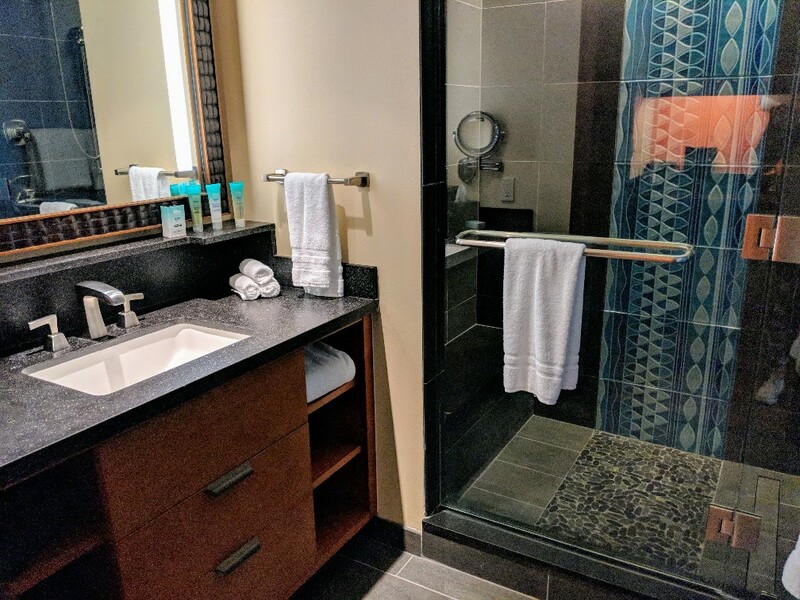 In my opinion, the two main advantages of a Polynesian Deluxe Studio Villa versus a traditional Polynesian room are the kitchenette and second partial bathroom. We like to eat breakfast in the room to save money. The kitchenette in a villa has a toaster and microwave which is not available in the standard room. 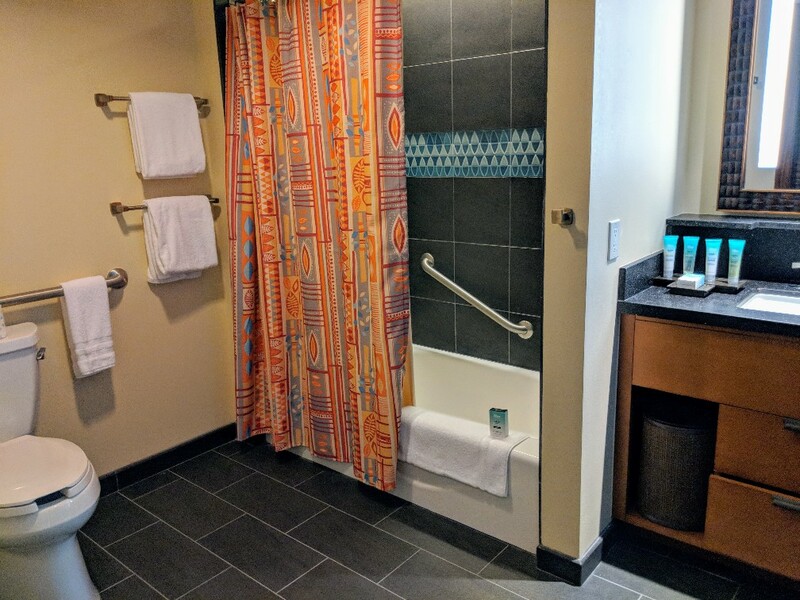 The Polynesian Studio Villa also has a second bathroom with a sink and shower (but no additional toilet) which can be helpful for larger groups. 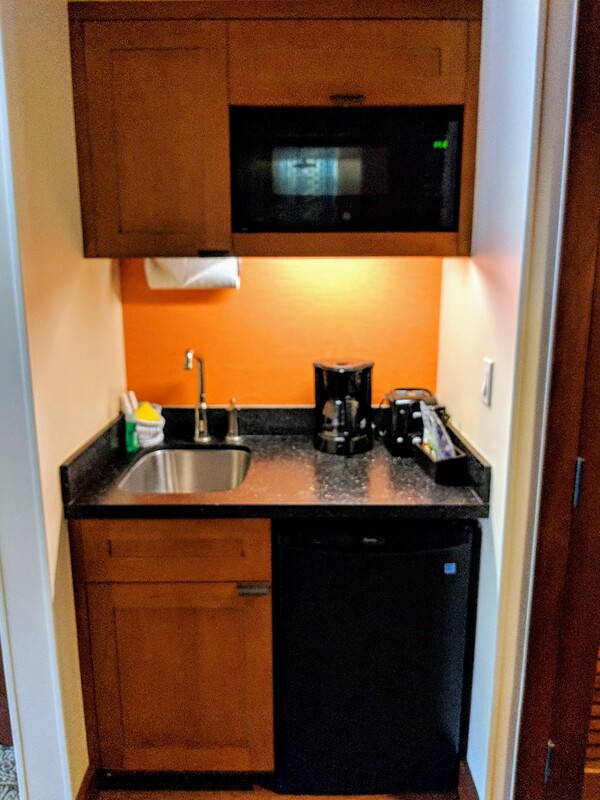 If having the extra partial bathroom and more amenities in the kitchenette are helpful to your family then go for the Polynesian Deluxe Studio Villa. If those things don’t matter, or if the prices are substantially different you may want to opt for the standard Polynesian room. I hope this helped! Please let me know if you have any other questions. I also just booked a deluxe villa instead of a standard room, almost by accident. Somehow it was cheaper for us, but when I realized the second bed is a pull-out, I became concerned that this room will feel more cramped. The two bathrooms is a huge attraction to us, but where do you find space for suitcases and clothing? It looks very small to me in this regard. Any thoughts on this? We did not have a lot of large suitcases when we stayed in the Polynesian Deluxe Studio so they all fit inside the closet. There are drawers under the bed and several in each bathroom. There is a bit of space that may fit a bag in between the fold out couch and sliding glass door or between the day bed and the table and chairs if you need more than the closet.